Enterprises deploying SQL Server for Linux need a way to ensure their instances are highly available, and must look to the 3rd party ecosystem for those capabilities. 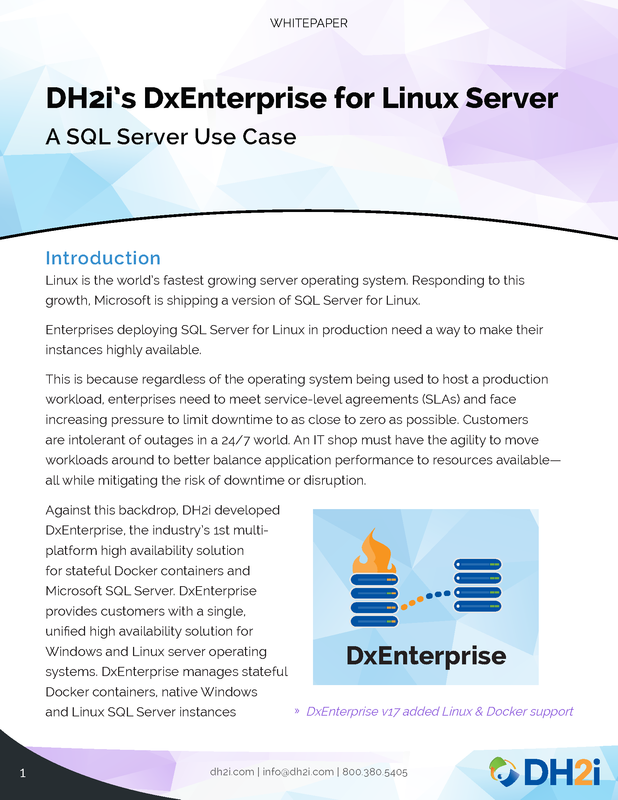 This whitepaper describes how DH2i’s DxEnterprise software manages new or existing SQL Server instances or containers on the Linux platform, decoupling them from a bare metal server, virtual machine or cloud server. This gives users the built-in smart availability they need for SQL Server on Linux.